I will test the Banjo Brothers Jersey Pocket Cycling Wallet in this article. A fellow cycling friend tipped me on this great product when I published the Waterfield Club Cycling Pouch review a little while ago. So I’ll give you my thoughts and first hand experiences with this cycling wallet. The front panel and back panel are basically large clear sheets of plastic that have a folded ballistic nylon strip sewed around the edges. 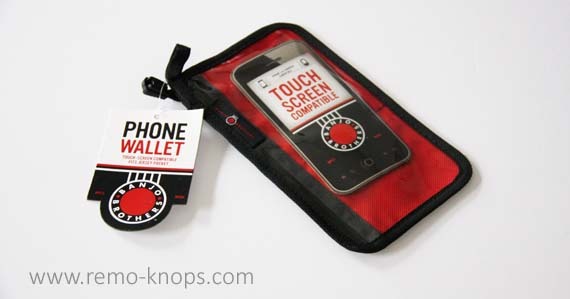 Between the front and back panel there is a divider, that separates the cash, coin and key pockets from the phone pocket. The divider is made of red ballistic nylon and in the picture you can see the black stitches of the back pockets. Furthermore you see the Banjo Brothers logo in the upper right corner and the webbing loop to easily grab the Banjo Brothers Jersey Pocket Cycling Wallet from a back pocket in your cycling jersey. I have a Xiaomi Redmi Note 3 smartphone with a clear protection cover. 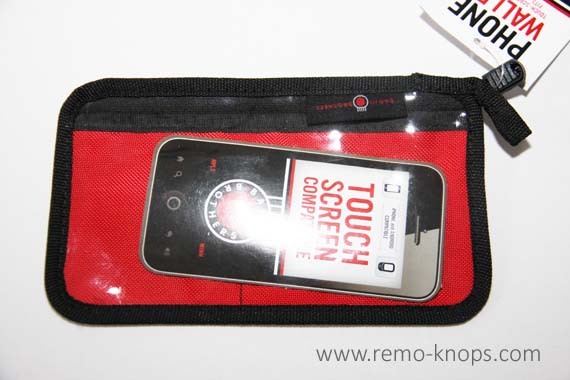 This combination is on the limit of what smartphone the Banjo Brothers Jersey Pocket Cycling Wallet can securely pack. The zipper is sewed in the clear plastic back panel, with the webbing loop now on the left. You can see that the left of the two smaller pockets easily fits your back card or your health insurance card, while the smaller pocket on the right I would use for my spare home key or some cash. The Banjo Brothers Jersey Pocket Cycling Wallet feels durable due to the thicker plastic and ballistic nylon. In terms of design it is simple but highly functional with a separate phone pocket as well as two pockets for card, some cash and a spare home key. Compared to a simple zipper bag this is way more functional and durable for a decent price. 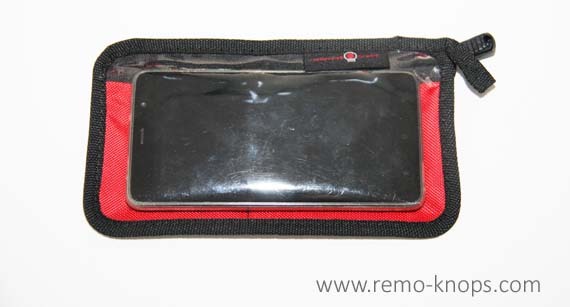 Even though the the Banjo Brothers Jersey Pocket Cycling Wallet is not completely sealed and water proof. It is not fair to compare the Banjo Brothers Jersey Pocket Cycling Wallet against the Waterfield Club Cycling Wallet, because they are aimed at different price-points and thus a different quality. The Waterfield Club Cycling Pouch packs also tools and a spare tire, while the Banjo Brothers Jersey Pocket Cycling Wallet isn’t designed for that purpose. Biggest deal breaker for me is that there is no local dealer in the Netherlands and the shipping costs are more than the product price-point. Despite the fact that the Banjo Brothers Jersey Pocket Cycling Wallet is an excellent product, this limitation won’t make it successful in the Netherlands. Final and special thanks go to my Philadelphia based cycling friend who provided me with the tip to review the Banjo Brothers Jersey Pocket Cycling Wallet and also ordered one for me. 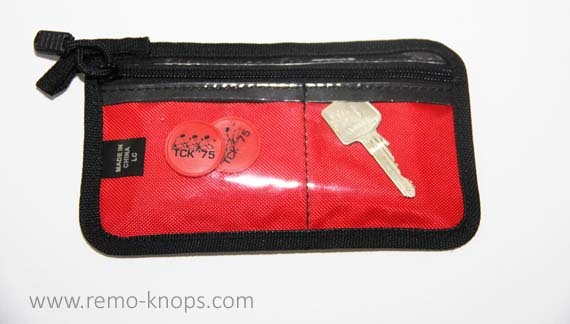 Hey!, I found this information for you: "Banjo Brothers Jersey Pocket Cycling Wallet". Here is the website link: https://www.remo-knops.com/5666/banjo-brothers-jersey-pocket-cycling-wallet/. Thank you.